Originally published in 2011. Lately I have had a lot of inquiries about Perú, so this is a republish. When most people think of Perú, images of Macchu Picchu, colorful tapestries and quinoa are evoked. The truth is, Perú is all of these things… and much more. It is a diverse country with busy cities giving away to quiet mountain towns nestled into the Andes that haven’t seen a visitor for years. Most of Perú’s visitors concentrate themselves in the main tourist areas—Cusco, Macchu Picchu, the Nazca Lines, the Inca trail, and occasionally, Lake Titicaca, however, if you stay a while longer and explore some other areas of Perú you will find a country hungry for attention and rich with sensory experiences. South Perú truly is a fantastical landscape of high altitude desert—the driest in the world, immense canyons—the second deepest in the world, Pacific coast, and dense jungle, but it takes a little courage to step out of your comfort zone to find it. Dusty, seismically charged and chaotically beautiful, the lesser-visited city of Arequipa is a quintessential Peruvian metropolis. It is the second largest city to Lima, seated at the edge of the Atacama Desert, flanked by three powerful and active volcanoes, and still just a two-hour bus ride from the coast. The white volcanic stone buildings that line the Plaza De Armas are stoic and glorious, and there are many little restaurants hidden in every alley. 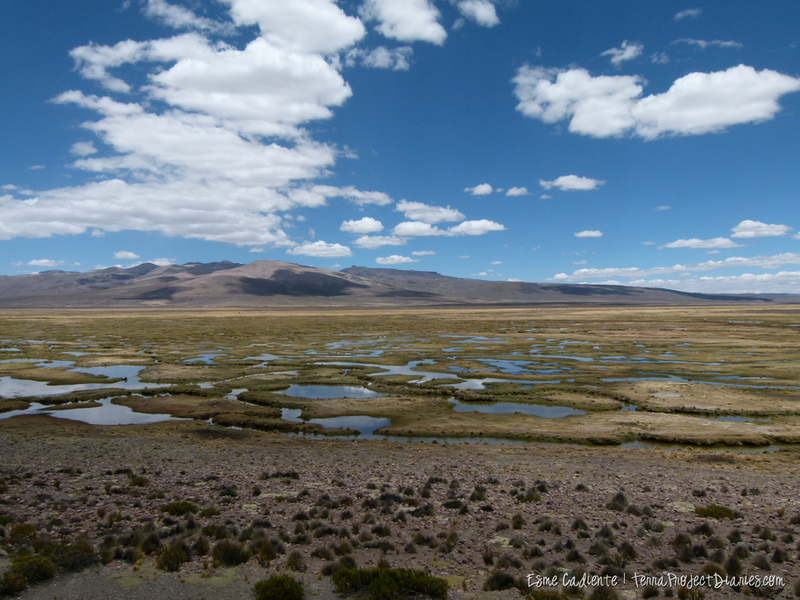 Before visiting Perú myself, I had heard stories, but the stories did not prepare me for the shock of color and noise that greeted us when we made our way from the airport in a barren strip of the Atacama Desert toward the city of Arequipa. Vólcan Mistí seen from Arequipa. There were dogs on almost every rooftop, women in colorful dresses carrying children, and young men and boys clustered around street corners. The taxis, buses and cars formed a conglomerate chaotic mess that moved in unison to some abstract traffic laws unbeknownst to me. They were stacked about six across in what appeared to be a two-lane road. Each was emitting high-pitched honks and cartoonish toots at a constant rate as they squeezed, prodded and squished their way in-between one another. There were no traffic lights, and a few stop signs, which were heeded by none. Combis went hurtling by, people’s faces plastered to the windows, pausing briefly to dump passengers out while new passengers squeezed on. The combi is essentially a city bus, but it is actually a small, privately owned van with colorful handwritten signs and Lady of Guadalupe paraphernalia that cover the windshield, leaving just a small opening for the driver to peek through. Jesus figurines cling to every bit of space on the dashboard. Each combi is equipped with an animated Peruvian yelling out stops so fast you cannot understand a single word. If you are able to flag a combi, or happen to be near one when it pauses, the idea is that you jump on as fast as possible and squeeze yourself into the mess of other passengers. The combi does not have specific stops, only a specific direction. You must wrestle to the front of the gutted out van and yell “Bajo aqui” if you want to get off. It doesn’t come to a complete stop and you must be prepared to take a leap of faith as it slows down near the curb, hoping you are at your intended stop. At times the combi is so packed I cannot imagine another body fitting, but somehow it always does. Choclo, an ancient strain of corn. Its fat, dry and meaty. Peru doesn't have a problem with mono-cropping! A blackboard boasting the menu del dia, the daily set menu that includes an appetizer, entrée, dessert and drink for $4-6 USD, denotes a restaurant. From the street, most of these restaurants are unnoticeable, aside from the blackboard, and cave-like entrance. The items on the menus are unrecognizable to any Spanish dictionary. My pseudo-vegetarianism was challenged one day when I ordered patitas—pickled lambs feet. As the waitress set down my plate and I took in the slightly translucent, hairy hooves I had to start laughing. Isaac attempted to try them, but even he was discouraged by their fingernail-like substance. The menu del dia is the most economical way to eat in Perú, however, do not expect a gastronomic experience. I came to learn that each menú is accompanied by some meat part that looks like a sea creature, but if you want authenticity than this is it at its best. After living in Arequipa for a while, Isaac and I had explored every dusty corner of the city, we had eventually seen every plaza, walked many dingy streets, perused around stores with colorful alpaca garb, meandered through every odd market, tried lots of chicharrón, drank Arequipeñas and pisco sours at many funky bars, nearly got attacked by stray dogs, and made friends all along the way. We also got the chance to tour through four of the cities’ hospitals as we embarked on a seemingly wild goose chase to try to get our vaccinations. I’ll say here that when we lived in Arequipa, we were extremely poor, even by Peruvian standards, so most of our activities included walking really far into unknown, strange and often somewhat dangerous parts of the city. Arequipa’s city center is nice, but the urban sprawl crawls up and over hilltops, and eventually gives way to shantytowns in the desert. Further away from the city the barren high altitude sand dunes begin to shed elevation as the landscape drops toward the South Peruvian Pacific where life reemerges in the coastal towns. 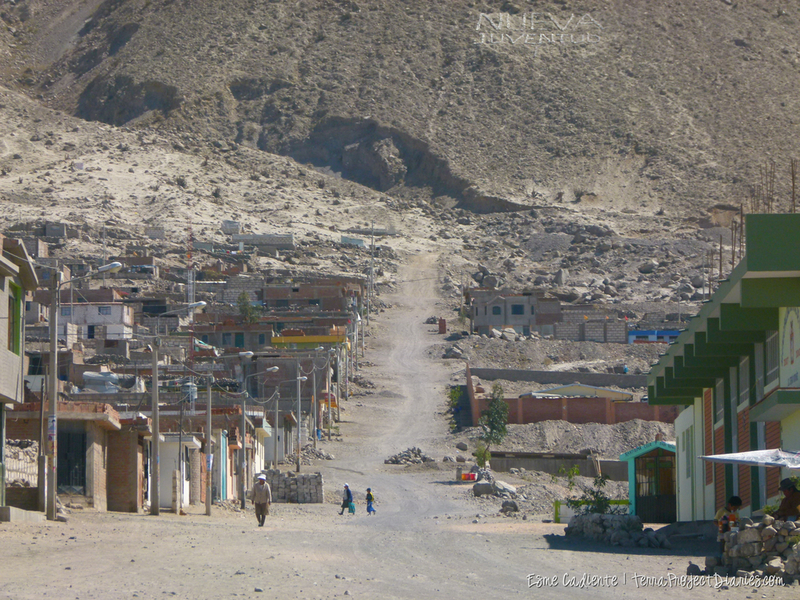 A strip of highway, accompanied by shacks here and there, slice through the desert in Southern Perú. Mollendo is one of those coastal towns. It is an odd place, similar to a child trying on her mother’s makeup—something just isn’t quite right. We arrived off a packed bus to Mollendo at night and from the second we stepped foot there, I felt uneasy. The dirty strip of coast is unable to hide underneath the umbrellas and waterslides that are placed there to make it seem Cancunish. People are very poor and there is a lot of crime. Young boys stand beachside trying to sell drugs while grandmothers push carts of homemade fried bread to sell for pennies. Fisherman pull dingy nets from the sea with small fish that don’t appear to have any flesh at all. It is a destitute place with hard working people trying to hide under the façade of a happy go lucky beach town. 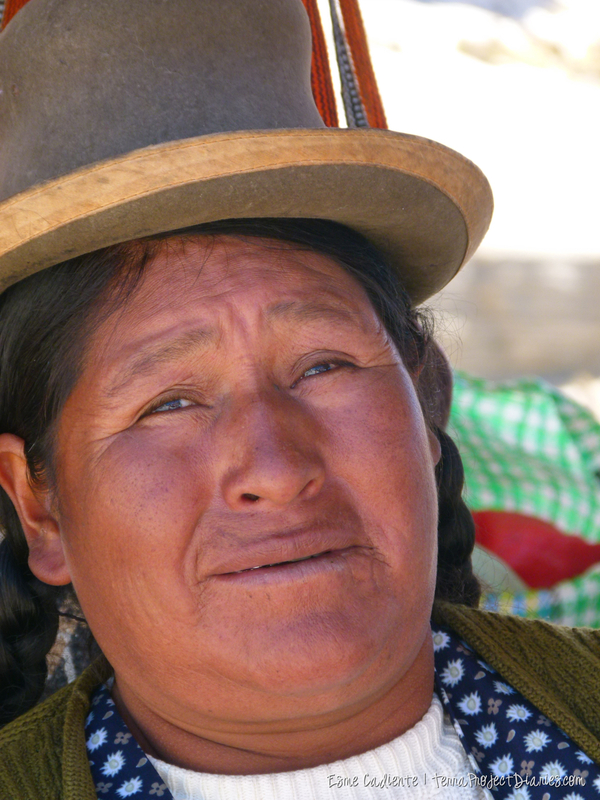 A Peruvian woman sells her tapestries at a rest stop at the foot of Vólcan Mistí, 14,000 ft high. Cañón Del Colca, one of the deepest canyons in the world is situated a days trip away from the city in the opposite direction of the coast. To get there from Arequipa, a bus travels through high desert passes 14,000 feet in elevation at the foothills of the looming Volcan Misti at a staggering 19,110 ft. 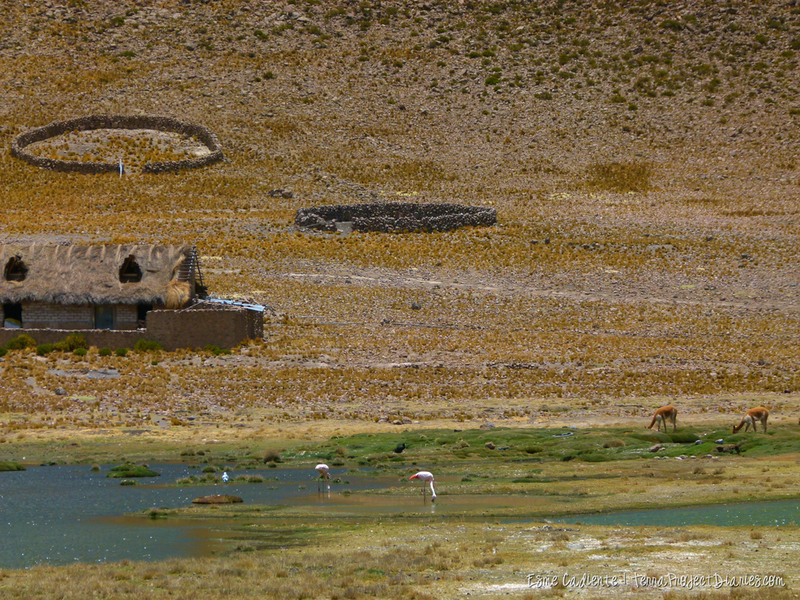 The wind swept, rocky landscape is home to alpacas, guanacos, and surprisingly, flamingos! 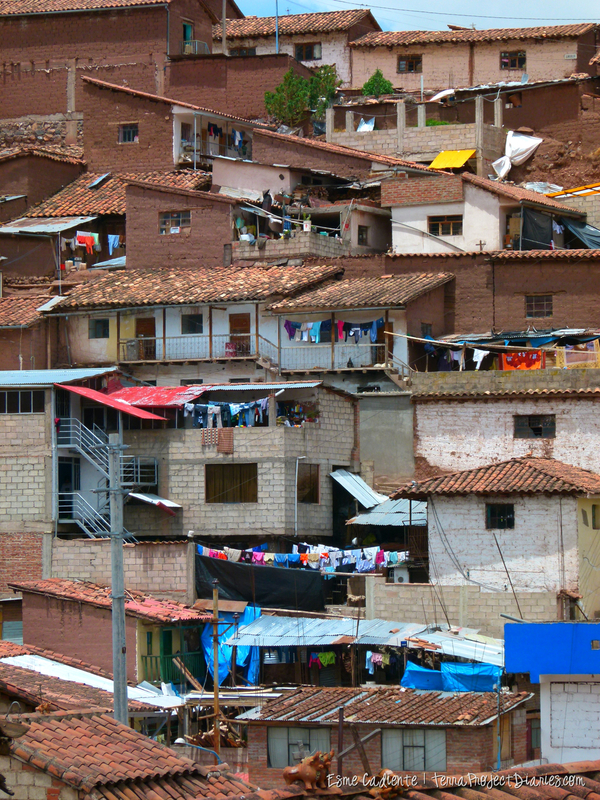 A smattering of Quechua villages populate the rim of Cañón Del Colca. The canyon walls are lined with resplendent pre-Incan terraces, amazingly still maintained in this precarious setting, that zigzag down to the small, distant ribbon of water moving across the canyon bed. Paradoxical to Mollendo, Colca Canyon radiates a feeling of historic magic—the indigenous people have made the Canyon a special place, and most are still living the same way that they did hundreds of years ago. Replete with history, ruins, fantastical landscapes, interesting foods, and not so typical towns, South Perú has a lot to offer its visitors. Whether you are touring Macchu Picchu, hiking the Inca Trail, or just looking for a new destination, Arequipa and the surrounding area is worth a trip for the more adventurous traveler.